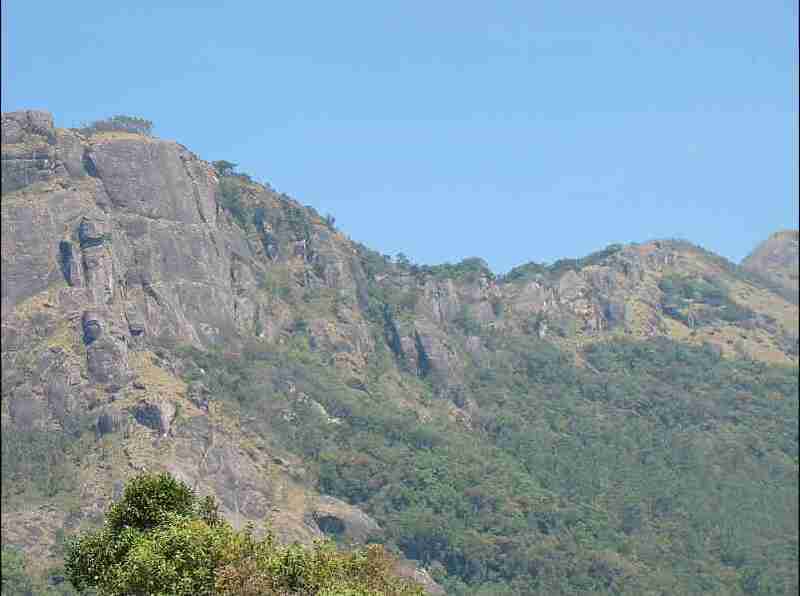 Munnar is a beautiful place well worth visiting! Our visit started with something of a fiasco which brought to mind the axiom: “if something sounds too good to be true, it probably is”. We were offered an unbelievable deal in Munnar at what was described as a “resort”. As it turned out it was no resort – and, in fact, to describe it as a dump would not be an exaggeration. Frankly, if Ted Kaczynski – the “Unabomber” – who was a recluse during the latter years of his life prior to his arrest, living in isolation away from society in a rudimentary abode, ever gets out of prison in the US and wants seclusion in Kerala, India, the place we stayed the first night in Munnar would suit him perfectly! How we ended up there is a story in itself but essentially a friend of my brother from his days in Kenya, arranged three rooms in the so-called “resort” – owned by his relatives – at a supposedly bargain basement price for me, my brother and for himself and our respective spouses. It turned out to be no bargain and was not worth what we paid for the room. In fact, I’d say that it was probably the worst place we have stayed in all of our travels to many countries with the possible exception of the “tea houses” in Nepal frequented by those trekking the higher elevations of the Himalayas! But I don’t want to focus on the negative aspect of our stay in Munnar in this blog entry though it would make for interesting reading in terms of quite how bad a place can be and how easily one can be misled by a description on a website. With the help of our taxi driver, Basil, we found a wonderful, relatively new four star hotel on the outskirts of Munnar at a very reasonable price! It was as good as any upscale hotel in the US! The people were friendly, there was a decent view, the service was excellent and the décor was beautiful. 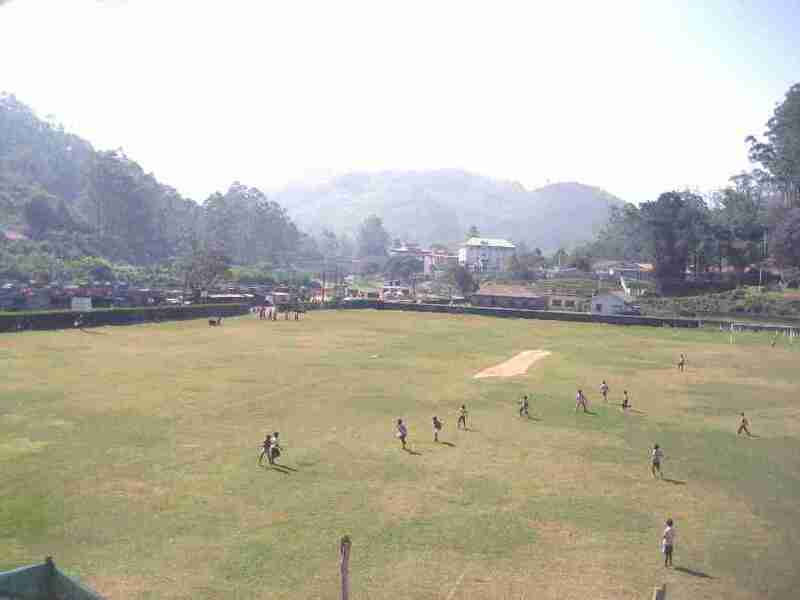 From the window in our room we could view a sports ground with a cricket pitch and a soccer field. On the day of our arrival there was a cricket match in progress and at other times there were adults and kids playing soccer. It was quite a contrast to move from the unnamed “resort” which was literally located in a wilderness on a dirt road about 15 kms from the center of Munnar to the Hotel Silver Tip which was well-located – a place I’d recommend to anyone who is looking for excellent accommodation in Munnar at a reasonable price. 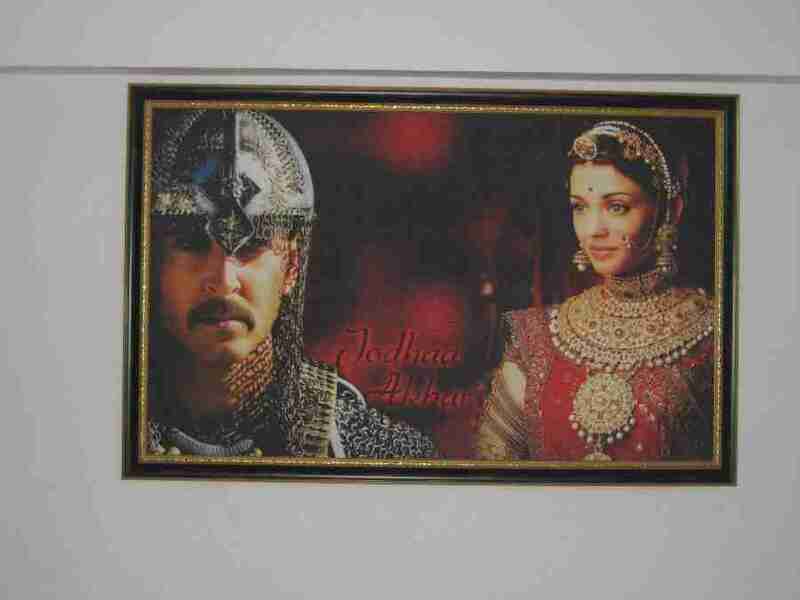 It was a hotel with a theme – pictures of famous Hollywood and Bollywood actors and actresses and scenes from some famous movies which sounds a litte tacky but was actually done quite tastefully! 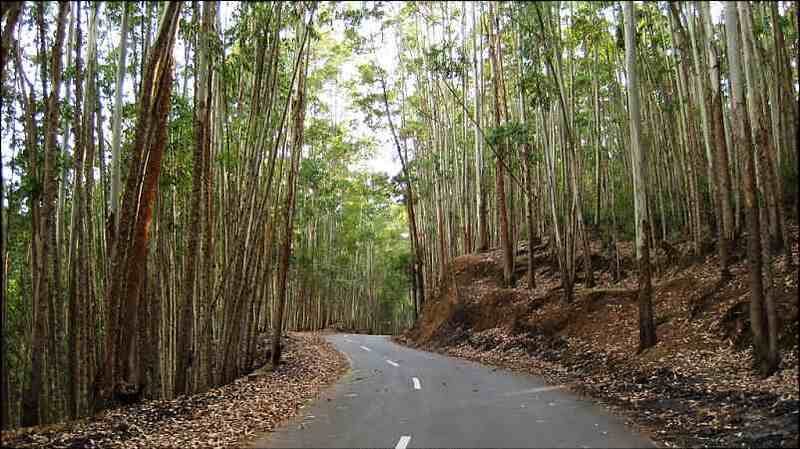 Munnar is itself a spectacular place with views that are to die for, an abundance of greenery and remarkably clean. The tea plantations that stretch for miles and miles are a sight to behold. 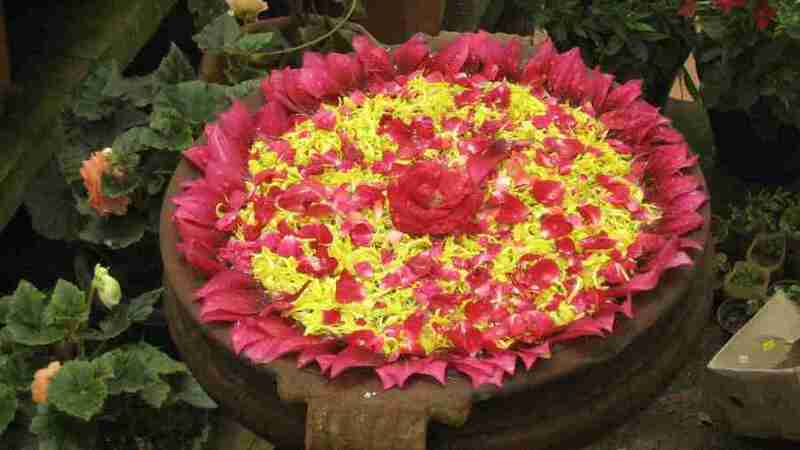 The weather and temperature, after the stifling heat of Cochin, was temperate and pleasant. Our taxi driver knew Munnar inside out and took us to all the usual tourist locations. 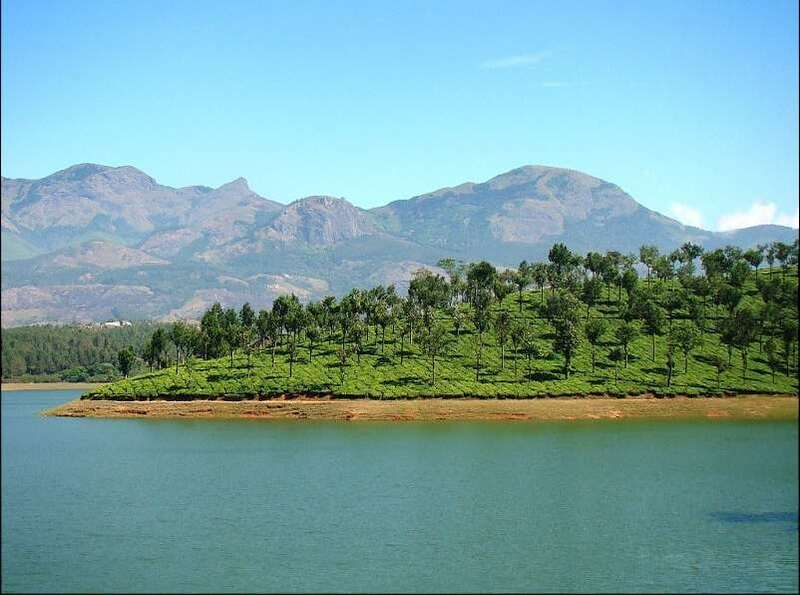 It is not as if there are a whole lot of places to see unless one is the outdoors type who is into trekking, etc – Munnar is a place to get away from it all and just relax in a beautiful environment with spectacular scenery. Munnar is the center of some of the world’s best tea estates. There are about 30 tea plantations in and around Munnar. Among these, majority of the plantations are owned by Tata Group’s Kannan Devan Tea Estate. 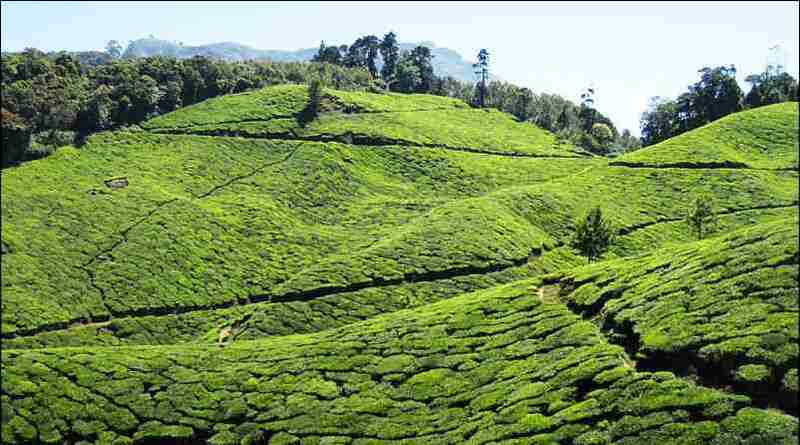 The Munnar hills covered with tea plantations gives one the feeling of seeing a wide green carpet. I was amazed at the number of relatively young people who were visiting Munnar – lots of honeymooners and others celebrating their wedding anniversaries, etc. with quite a few from North India and particularly from Gujarat. There is even a Gujarati restaurant in Munnar run by a Patel – at least that is what the restaurant was called. We met this young couple, staying at our hotel, from Gujarat on the day we were leaving who were on their honeymoon – his name was Bhavith and his wife’s name was appropriately, Bhavithi – though she went by the nickname of Sweetie! 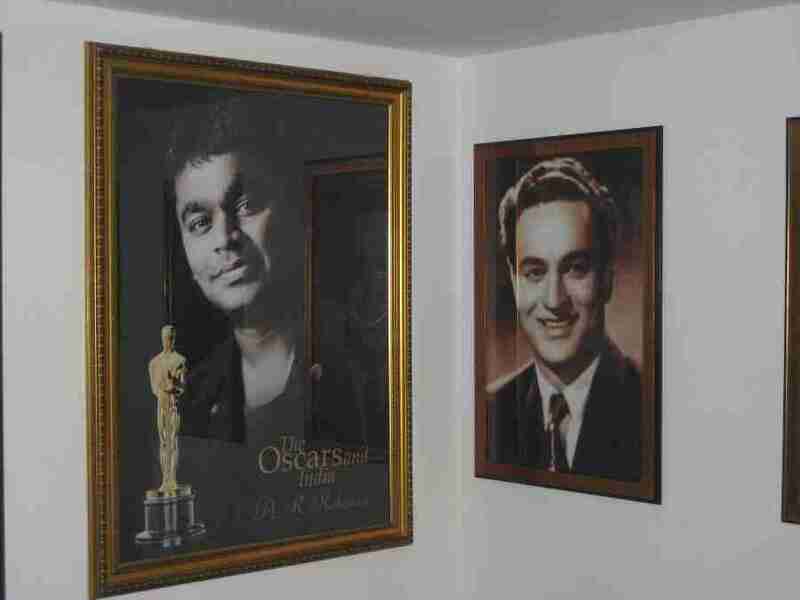 They were curious about us –perhaps it was my earring that aroused their curiosity since not many Indian men in their sixties wear a earring. The couple wanted a picture taken with us as a keepsake! We encountered the same thing in China where we had total strangers wanting a picture with us but this is the first time this happened in India! I am sorry that I did not get his email address because I would have liked to have sent him the link to this blog entry. Basil took us to a very nice park where, again, there was a predominantly young crowd! We met these two couples who asked me to take a picture of them. I did so – though I was tempted to pull off the incident that happened in Chevy Chase’s “European Vacation” where they give their camera to an Italian to take a picture of the family and as they are posing, he runs away with their camera. I thought of pretending to do something similar with these couples and their camera but I was not sure they would see the humor in it and so I restrained myself! There was a large group of students from Kanyakumari who seemed very pleased to discover that we were from Kerala and the US – and that we both spoke Malayalam! As they left a number of them shook hands with me, like I was some VIP and they were going through a receiving line. We visited a tea factory where we saw the processing of tea from the point where they get the raw leaves and the various stages to the point the end result is processed tea ready for brewing! 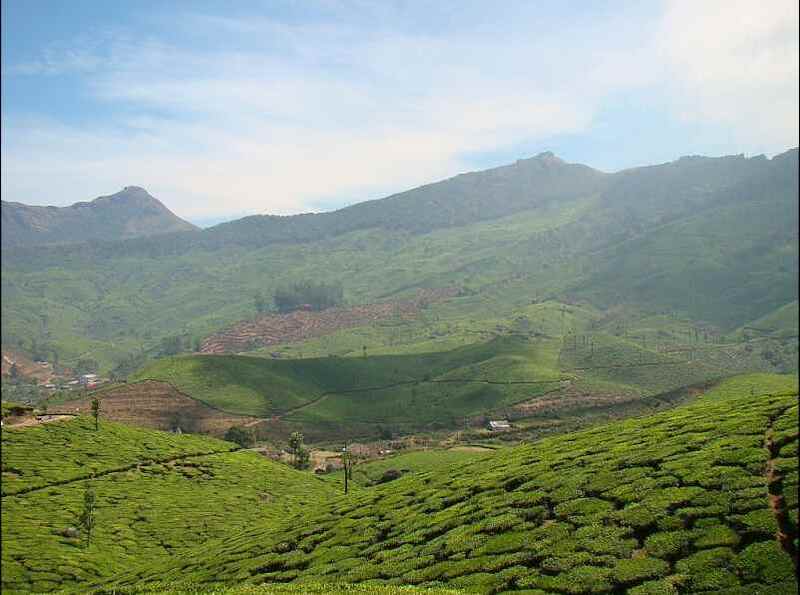 It included a movie of the history of how Munnar achieved its prominence as a place where tea was grown initially under the British when they ruled India. We visited a flower garden that looked quite unimpressive from the outside but was surprisingly good inside in terms of the variety of flowers and the general upkeep of the place. We saw the Mattupetty lake and dam – a tourist destination for those visiting Munnar – but I must say it was nothing of consequence. It was more interesting in terms of the people who were there as opposed to what the dam had to offer! A group of young guys surrounded this Russian couple who were visiting and wanted the couple to be in a picture with them – they obliged but seemed puzzled as to why they would be the center of attraction. I was tempted to tell the guy that he looked a bit like Putin! Perhaps there is more to do in Munnar though I think much of the appeal of Munnar is its temperate climate and the environment that is conducive to total relaxation. It is certainly a place that I would recommend as worth spending a few days. We left Munnar for Madurai with Basil driving us in his taxi and the first 50 kilometers or so were just totally spectacular in terms of the scenery – much better than the drive to Munnar from Cochin. It was a winding road with numerous hairpin bends with a fairly sheer drop if one were not careful. Fortunately, neither of us is prone to car sickness even through windy roads because I can imagine it would be a problem for some people. The views were breathtaking, the roads were surprisingly good and there were stretches where tea plantations extended literally as far as the eye could see. It was truly stunning! So our visit to Munnar which started with the accommodation fiasco at the so called “resort” fortunately ended on an upbeat and enjoyable note! More images from our visit to Munnar and the drive to Madurai can be viewed here. Wonderful pictures! 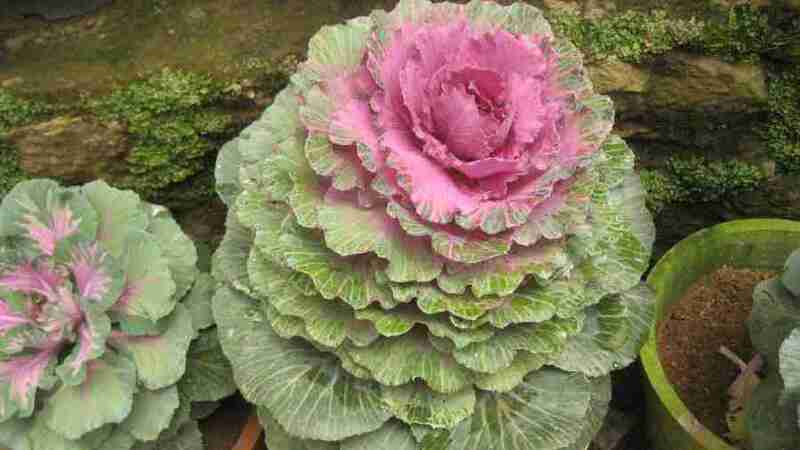 We are so looking forward to spending three days in Munnar during May. What is the name of the first place you stayed? I want to make sure we avoid it. Maureen, I deliberately did not name the place since it is connected with my brother’s friend. Our experience was not a positive one but I don’t want to spoil their prospects for getting clientele. Good luck finding a place – do consider the Hotel Silver Tip though you are going during peak season so it will be more expensive then. 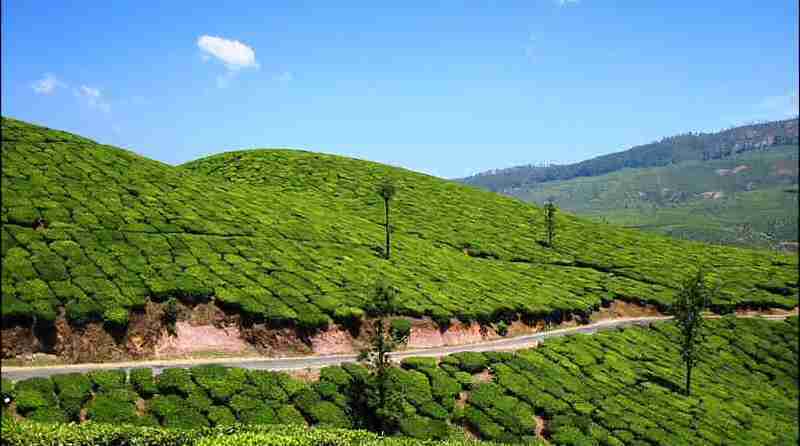 You will enjoy Munnar.